I will advertise your home on a rotation basis for a full month in the Daily Classified section of the CDA Press (every day as a featured property)!! Why do I advertise your home in the CDA Press? 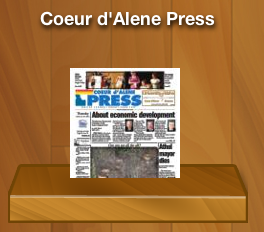 59.4% of adults in Kootenai County read the Press every day. 15.8% of Kootenai County has used the internet to look at real estate listings. Here's a funny little fact: Our readers read the paper for various reasons. Some like the comics, some like the Sports Section or Main News section, but did you know that 70.2% are actually looking for advertisements?